The newly rebranded Cruise Lines International Association has just released its annual passenger statistics for the Australasian market, revealing that growth in the local cruise sector continues to lead the world. A record high of 694,062 passengers cruised with CLIA member lines last year, with a growth rate of 11% equalled only by Germany - and significantly outstripping growth in the US at 2% and flat industry performance in the UK. CLIA Australasia chairman Gavin Smith said it was the eighth consecutive year of double digit growth for Australasian cruise passenger numbers, which have more than doubled since 2008. 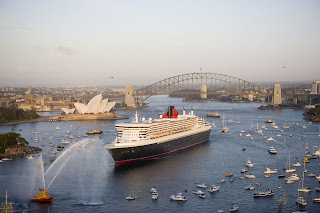 "Clearly Australians are responding to the growing number of cruise holidays on offer from Australian ports, as well as our strong dollar, which is encouraging more people to cruise overseas," he said. For the first time this year the report breaks down passenger numbers by age, with almost half less than 50, 25% aged under 40 and a third over 61 years. 43% of cruise passengers came from NSW in 2012 - almost double that from Queensland which accounted for 22% and ahead of Victoria at 16% and WA 9%. CLIA also analysed the passenger mix on board round trip cruises from Australia as well as trans-Tasman and trans-Pacific voyages, with 84% being Australians and international travellers accounting for 16% or close to 100,000 passengers. River cruising numbers also continued to expand, up 12% to 39,275 for the year.